Which travel personality are you? Are you the laid-back, we’ll-figure-it-out-as-we-go type? Or are you like me … Type A, FOMO (fear-of-missing-out), Google-obsessed planner? You can imagine then that a trip to Rome as the master-planner for 6 people might send me into overdrive. It did. 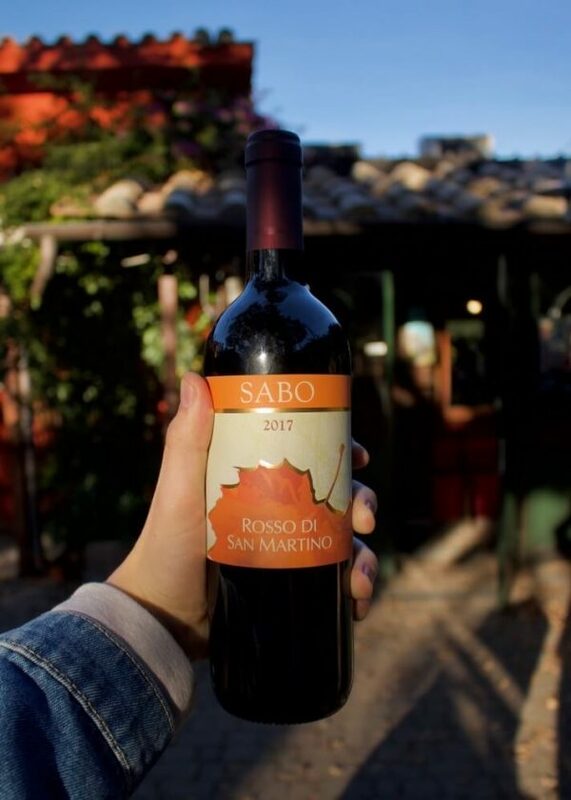 Prioritization became a must … “everyone pick ONE thing you REALLY want to see/do.” Thanks to my relentless Google/Pinterest/travel guide browsing, I knew that we would be in Italy during the heart of the olive harvest and I wanted to see it. 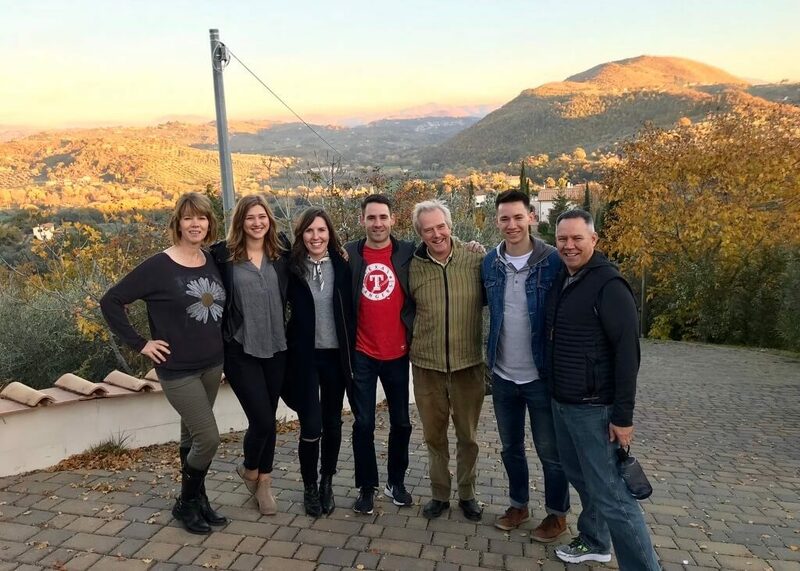 After eliminating a few tours based on location and price, and browsing through the results of google and Pinterest searches, one name kept popping up: Johnny Madge. Phrases like “world expert”, “judge”, and “expertise” led me to google him and find his website. 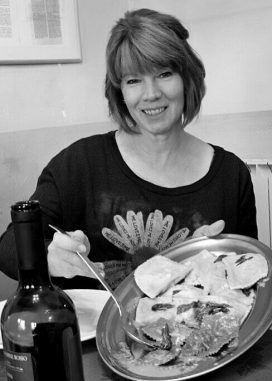 This Englishman lives in Italy and judges olive oil competitions all over the world. After exchanging a few e-mails with Johnny, I knew we were in good hands. My choice for the ONE thing I REALLY wanted to see/do in Italy was booked. 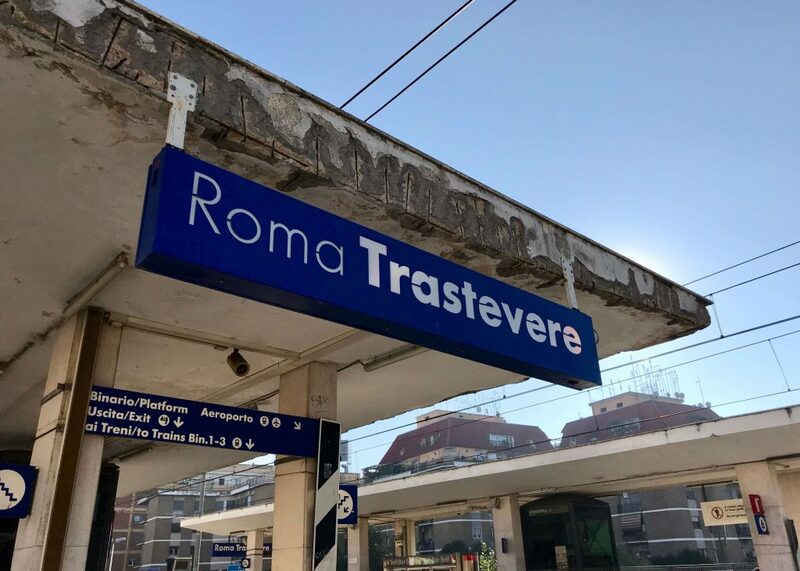 We were to take a train from Rome to Fara Sabina (about 45 minutes NE of Rome) and Johnny would meet us at the station with a passenger van. After two cancelled trains and one arriving 20 minutes late, we were on our way. result in four (with a couple of vespas thrown in for good measure). Accept it. That English accent transformed my name from a heavy “uh-nee-duh” to a light and melodic sound. This was going to be a GREAT day! We all introduced ourselves to Johnny and in no time we were on the road to Selci to begin our lessons and tastings. While riding in the van and taking in the gorgeous countryside, Johnny filled us in on what we could expect for the day. Because of our late start, we would begin with lunch and our lessons on tasting olive oils. 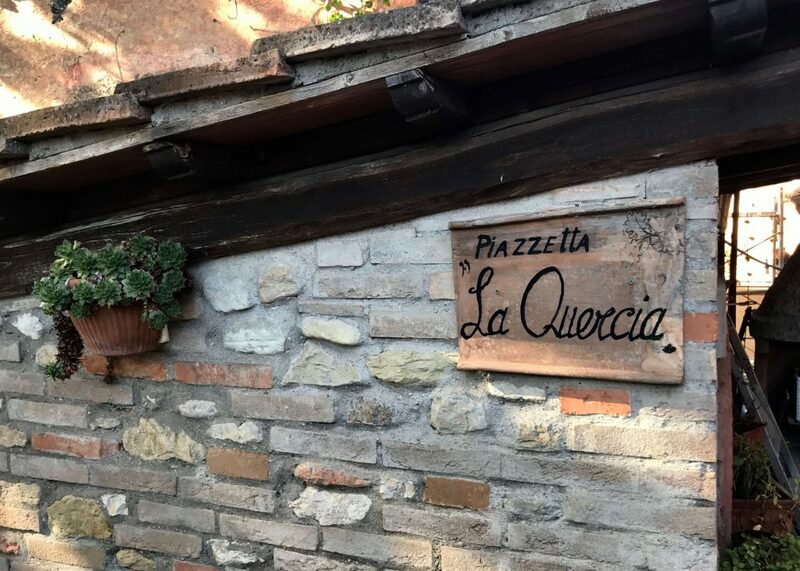 We pulled up to a quiet and incredibly charming place, La Vecchia, that turns out to be the bed and breakfast of my next trip to Italy (fingers crossed). We walked through one dining room, another small dining room, and into a private room, complete with fireplace and a family style table. 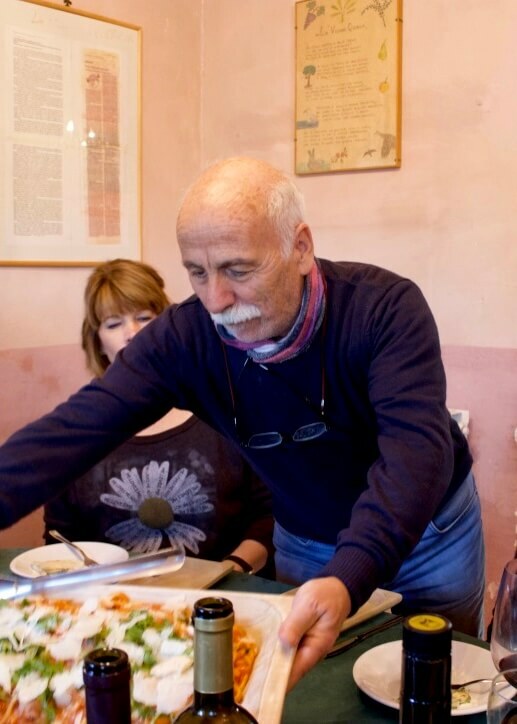 Before eating, Johnny tutored us on quality olive oils and how to taste them. Here’s a YouTube video of Johnny describing differences in olive oils as well as the best way to taste test them making lots of “stupid noises”. As we were concentrating on identifying certain nuances of the oils (aromas of tomato, citrus, pepper, etc. ), this incredibly sweet man named Giuseppe showered us with bottles of wine and plates of bread and the parade of food continued for well over an hour. 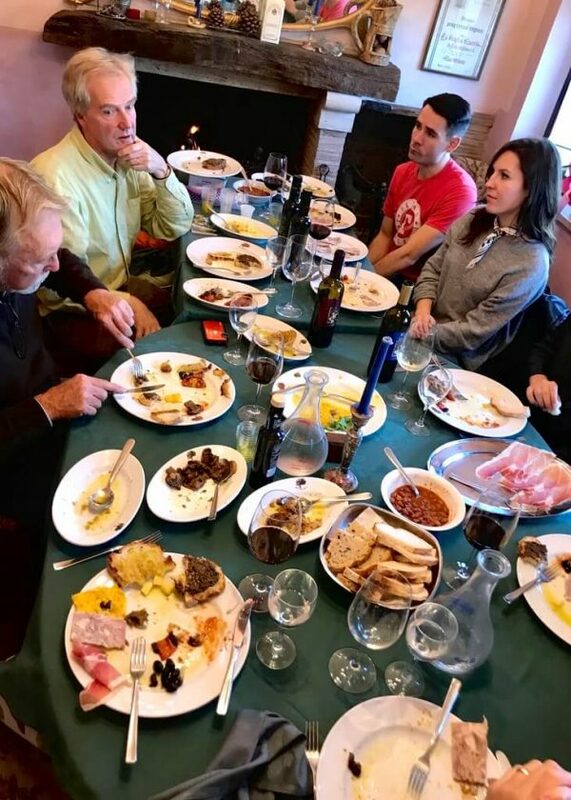 Johnny continued to share stories and information about olive oils and his experiences and, as each plate arrived, we were encouraged to drizzle the food with olive oil to have the full concept of how it can brighten or highlight the flavors. After about 12 different “antipasti” plates (roasted vegetables, meats like prosciutto and head cheese, breads, etc. ), the platters of crepes and ravioli and pasta arrived one after another. 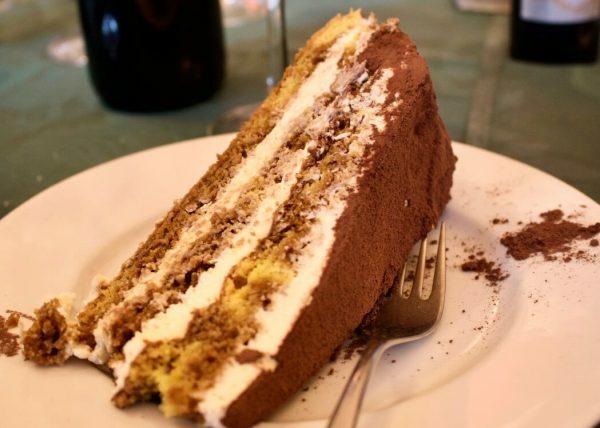 For dessert, we were given a choice of Nutella panna cotta (yes, that is olive oil drizzled on my dessert) or tiramisu cake, served with a wine cookie (ciambelline al vino), espresso, and/or grappa (a wicked strong after-dinner alcoholic beverage meant to aid in digestion). Every bite and sip were amazing. 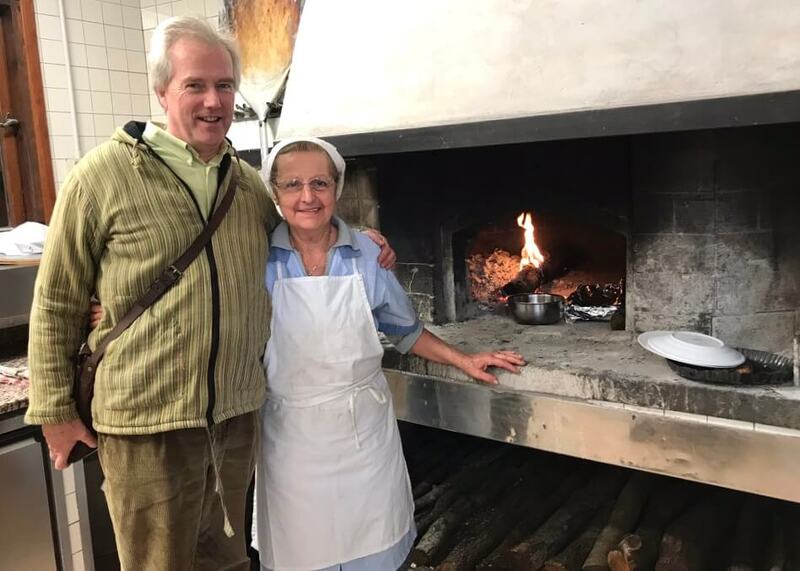 Before leaving La Torretta, we were treated to a tour of the kitchen and the biggest wood-fire oven I’ve ever seen (indoors or out). 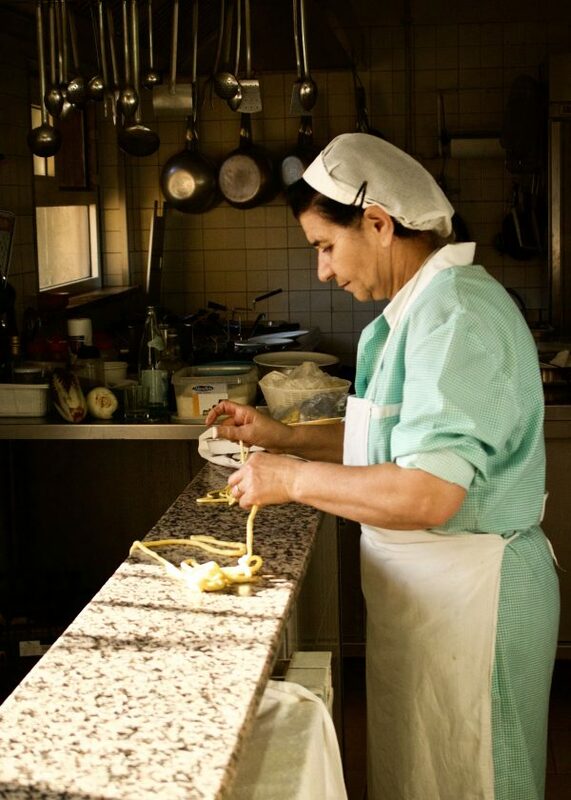 If you notice, the people who are cooking for us and serving us are well past traditional retirement age. These people move around like twenty-somethings who just want to make guests happy. Well done, my friends … well done! 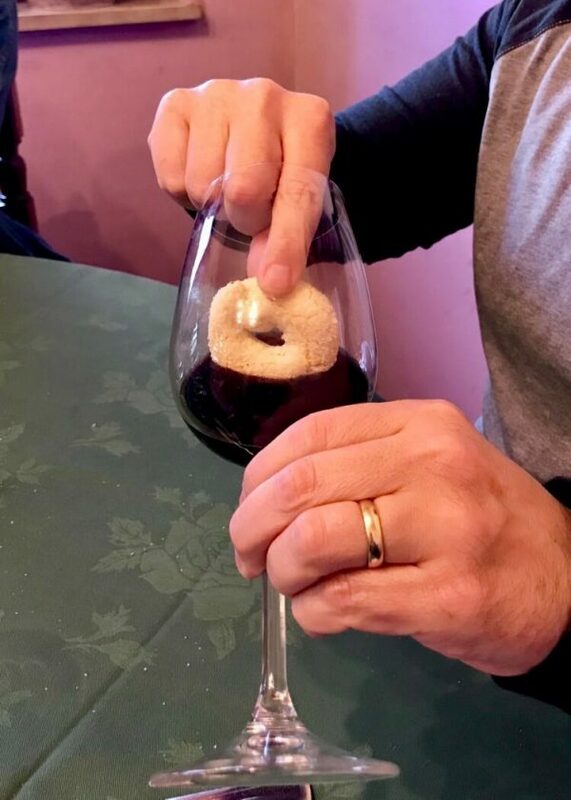 You want to give me a bottle of locally produced wine before we leave? I love these people! 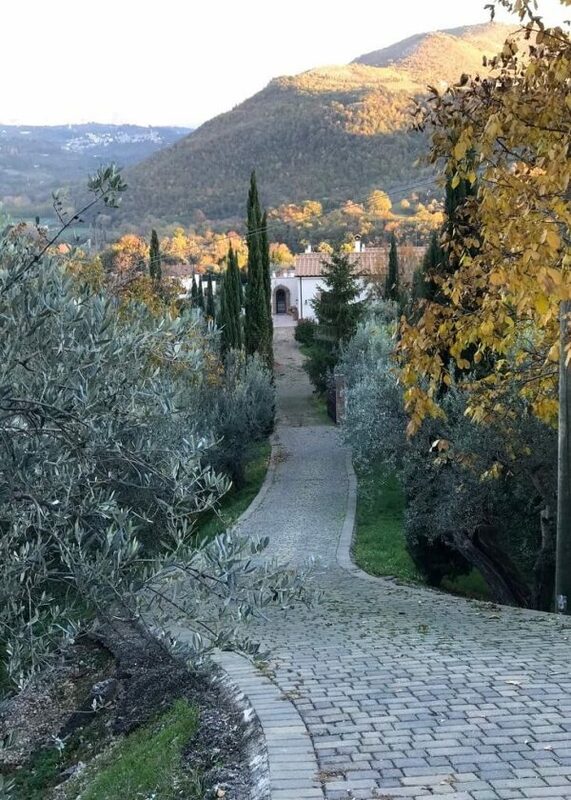 Resistant to leaving this quiet, lovely place, we returned to the road and wound our way through the countryside to a local olive grove where harvest was in progress. Olive trees remind me of a crab apple tree in size and shape but the leaves are long and slender and have a silvery hue. The olives are harvested by hand using a tool that looks like a small rake. 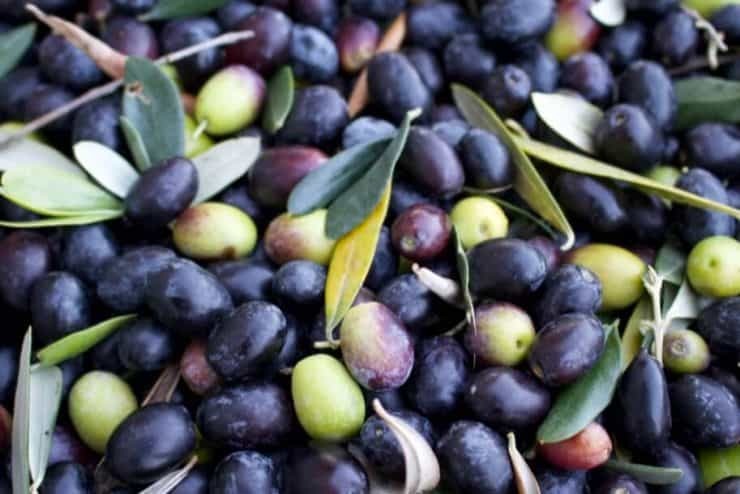 Some producers will mechanically harvest the olives but many have found that to be much too damaging to the fruit. The rakes are drug through the branches to knock the olives to the ground which has been covered with fabric or blankets. 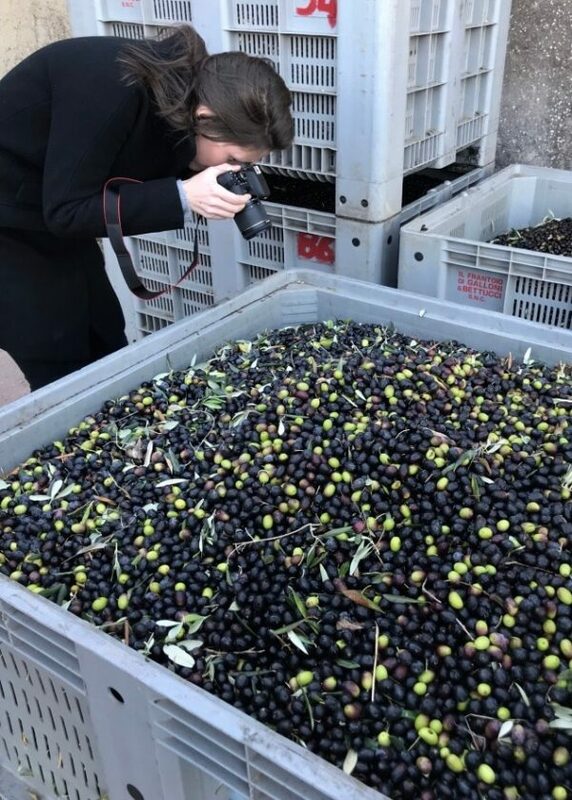 Once the fabric is gathered, the olives are added to large crates and taken to the processing area. They pass through several stages of sorting to remove the stems and leaves before they pass through the press. Within minutes, a gorgeous chartreuse liquid is pouring out of a spout. This might be my favorite (non-family) picture of our trip. 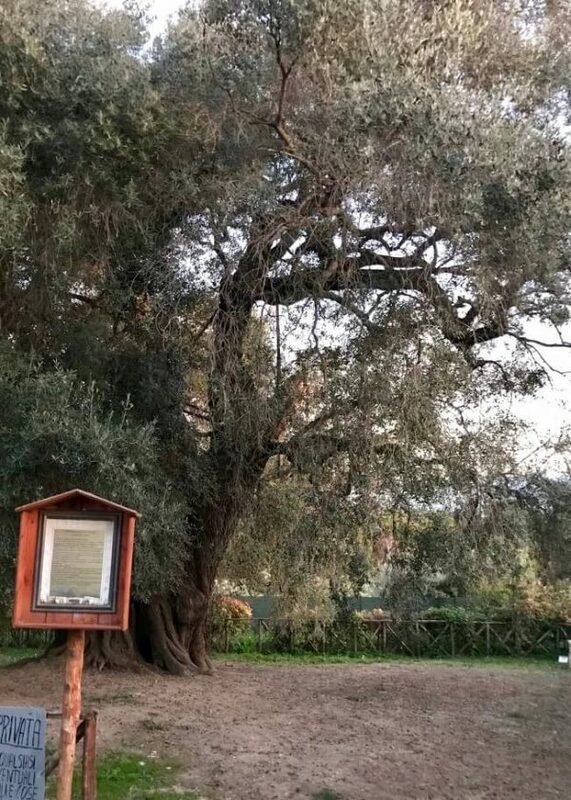 Our final stop on this trip was to see an olive tree that is nearly 2000 years old. This is the tree in the picture at the beginning of the post. 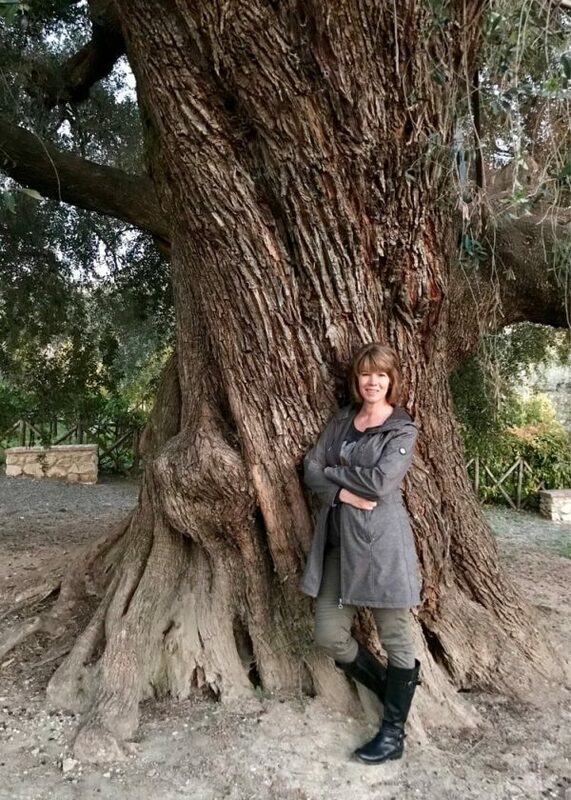 We were surrounded by history all through our trip but there was something about walking around a tree that was beginning its life about the same time Jesus was teaching about peace and harmony on earth. What a wonderful way to end our day. I cannot say enough about the quality and value of this tour. Johnny is the ideal guide: accommodating, patient, attentive, and funny. He will be the first to admit web design is not his forte but to his credit, he is on top of his e-mail and will make the process easy. 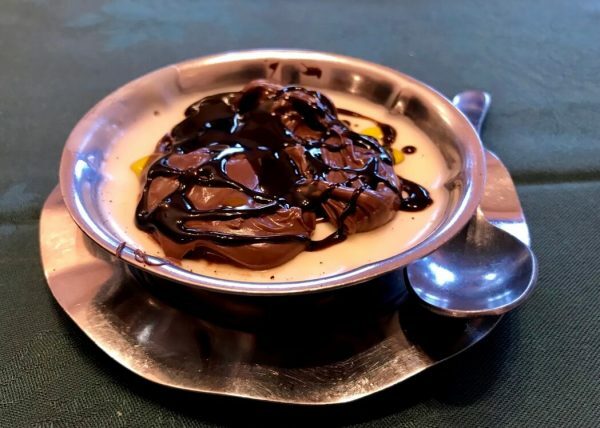 For more of our food experiences in Rome, check out my first post here. To find out more about Johnny’s tours, click here. 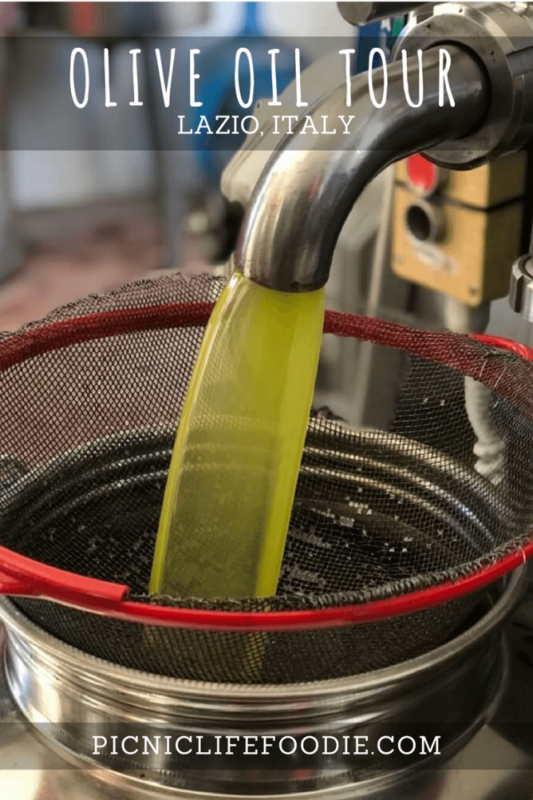 Want to try some truly high quality Italian olive oil? Click here. 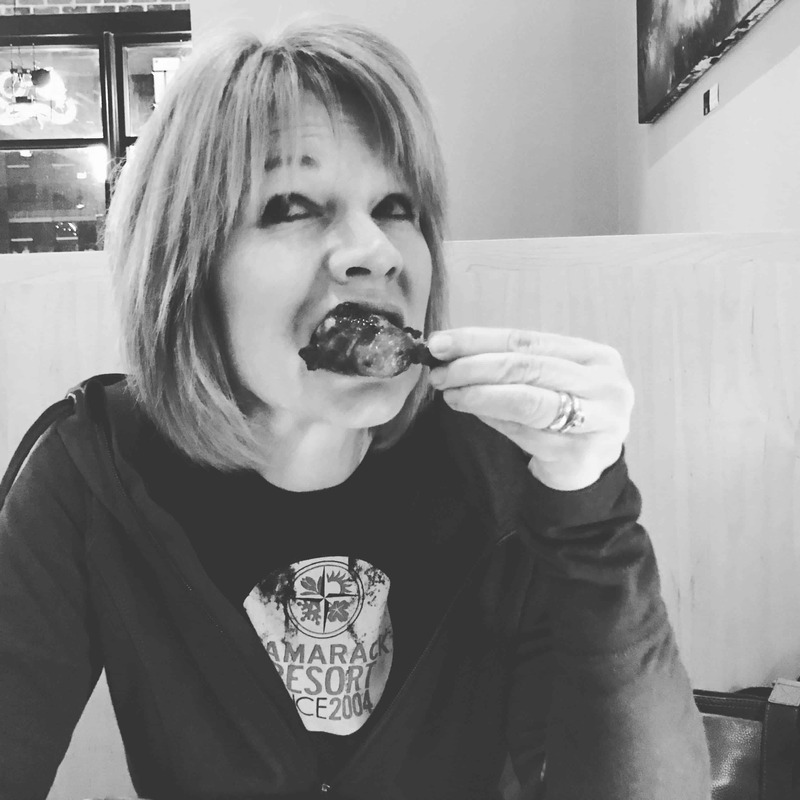 All this talk has made me hungry … Mangia! as one of the best things we did during our week in/around Rome. 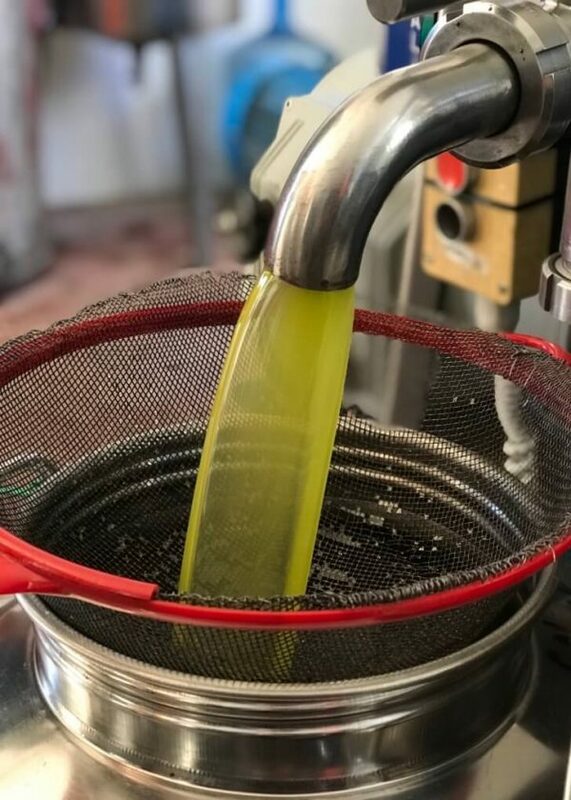 Join me as I relive our tour from Rome into the countryside of the Lazio region to see the olive harvest and pressing, to sample some of the finest olive oils, to eat traditional Italian food, and to learn from an olive oil expert and genuine great guy, Johnny Madge! Oooooo!!!! That looks fabulous! I’ve done the Johnny Madge olive oil tour twice and saw different things each time. I learned something new with each trip. I wish everyone could get a chance to do it. I’m happy for you. :) May you get to do it again in the future. Thank you! I hope LOTS of people take the opportunity to experience Italy in this way.